Increases in revenue, changes to support pricing and a run in with Stripe. Here’s what has happened during the past month. Our total revenue for the month of May was $17,882, which is a 40% increase from April where revenue was $12,517. 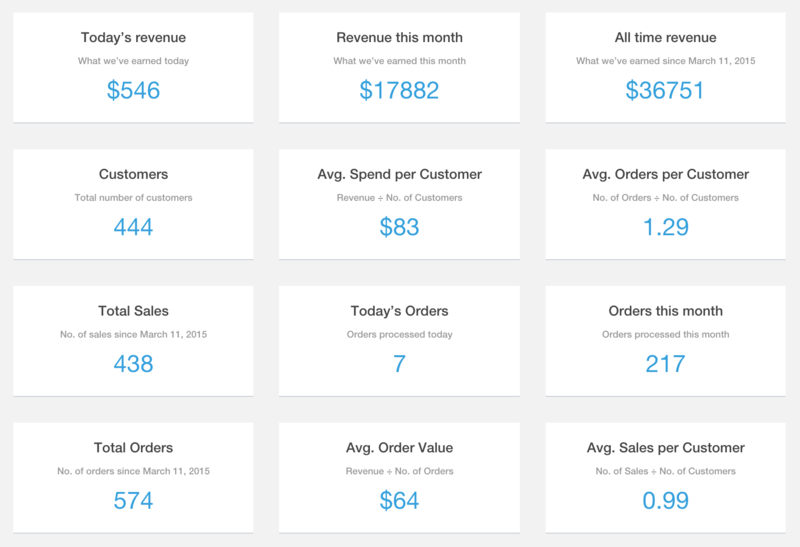 The revenue was generated from 217 orders and we have been able to increase our average spend per customer to $83. This is an increase of $12 from April when it was $71. The average daily revenue for the month was $576. An increase of $159 from April. If you want to see more of our metrics you can view them in real-time via open metics dashboard. Ultimate Member continues to be installed on more sites and we passed 8,000 active installs on the 26th of May. We passed 6,000 active installs on the 27th of April meaning we have had over 2,000 new installs this month. This is roughly the same rate as the previous two months. In May we released one new extension. This was Private Messages which was put on sale on the 11th of May. This was the biggest and most complex extension we have built so far and has brought the number of extensions we now have up to 12. As you can see from the chart below, the release of private messages provided a boost to revenue with the next 13 days all having daily sales of over $500. Interestingly, the extension itself has only been purchased 19 times bringing in revenue of $868. The real boost to revenue came from more core bundle extensions being bought after the release of the extension. When we first introduced priority support it was priced at $49 (45 day) and $149 (1 year). Most people who purchased support were opting for the 45 day support option. After selling priority support at these prices for a month and looking at the amount of time required to help out the users who purchased support it worked out that those prices were not sustainable. So in May we increased the prices to $99 and $199 to make providing priority support more sustainable. This has resulted in a lot fewer purchases of priority support but since priority support has never been a significant revenue generator for us and takes up quite a bit of time it was important to make this change. This month we’ve had 635 new topics created on our forum. That’s an average of 20.5 new topics created each day and is an increase of 16.9% from April. On the WP plugin forum 48 new topics were created last month, which means we have now answered 318 topics on the WP plugin forum since we first released the plugin. This brings the total number of support tickets we’ve dealt with to 2434 since the 21st of January. We ended the month with 3846 subscribers which means 1470 people subscribed to our list in May with pretty much all of these subscribers coming from our plugin opt-in. With around 2000 new active installs a month it suggests that around 70% of people who install the plugin are subscribing to tracking and our mailing list. This month we’ve had 36,897 sessions and 19,118 users on the site which resulted in 172,065 page views. Compared to April, the number of sessions has increased by 48.9%, the number of users has increased by 99.6% and page views has increased by 11.25%. A breakdown of our traffic sources with Google and WordPress.org bringing in the most news users. 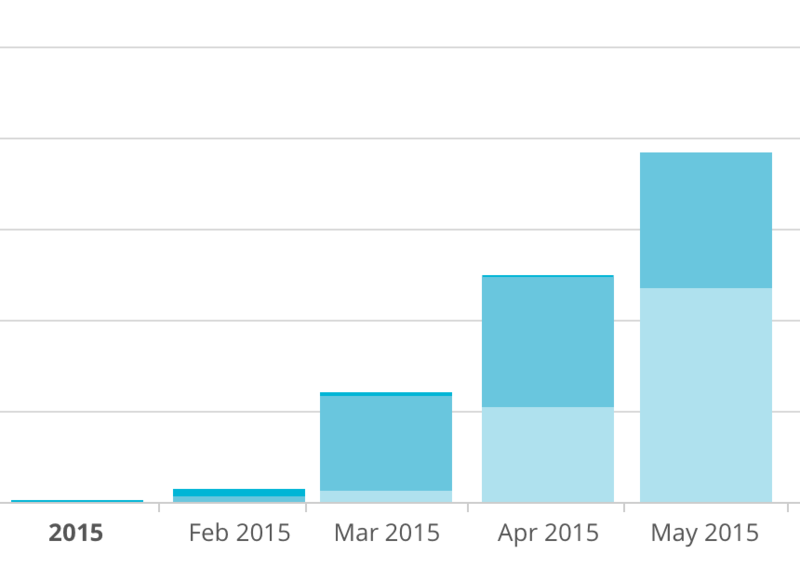 Overall, May has been a pretty good month for us with a significant rise in monthly revenue. The last week of the month sales were disappointing compared the previous two weeks but when considering the month as a whole then it has been a success. Hopefully we will be able to continue growing revenue over the coming month as we continue to release more extensions and add more value into the bundle. Feel free to share your thoughts in the comments below.